There’s nothing like a new year or serious celeb inspo to inspire you to change up your hair color. But with some bleach here and a post-color treatment there, it’s almost too easy to spend more than you expected to. Here are some things to keep in mind to make you sure you stay within your budget. 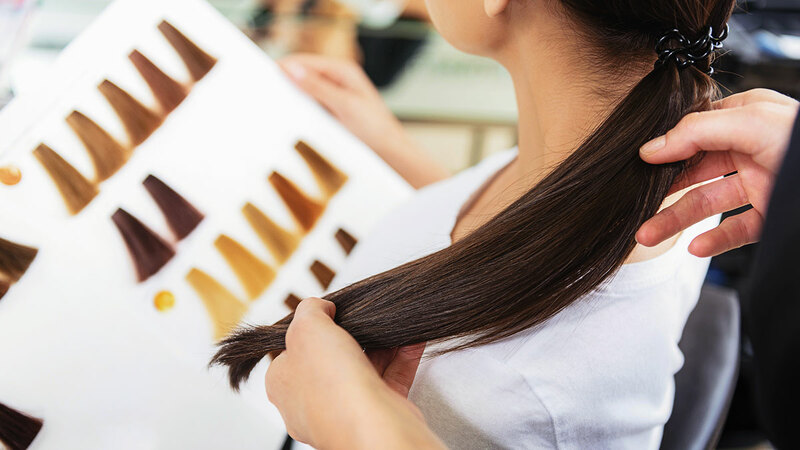 Choose a reputable salon that fits your budget. Though having your color done for cheap sounds like a good idea, the money you spend becomes an unnecessary expense if the final look is a total fail. You can avoid paying for a redo by asking around for salon recos—best to ask that tita or coworker whose hair color is always perfection. If you’re inclined to try a new salon, make sure to check reviews and go through their portfolio (this is usually available on their site or Instagram account). Also try to find out if the salon is within your price range by calling ahead or checking their price list online. Finalize the services (and price!) with the hairstylist before you start. As you come in for your appointment, you probably already have an idea of the color you want and how much you need to spend to get it. But these things can change upon consulting with the hairstylist due to the following factors: hair length (a lob might be considered long by some salons), hair thickness (certain salons cost out their services based on how many tubes of product they have to use on your hair), and additional services (an ash blonde color or auburn highlights require bleach). Make sure you and your hairstylist are aligned from the get-go so you know how much you’ll have to spend on everything. Know that they might try to offer you other products and services mid-treatment. There comes a point in most salon visits when the hairstylist suggests a quick trim to liven up your dry locks, or when he approaches with a tub of nourishing treatment that promises to keep your hair color vibrant. An Aries wouldn’t be afraid to say "no" if she really isn’t interested, but if you’re a Libra like I am, you’d probably think about how much you don’t want it and if that’s enough to say "no thanks." Remember: You are not obligated to say yes to everything they offer. Besides, there are cheaper alternatives for products like purple shampoo and at-home hair treatments, so no need to buy the pricier ones at the salon. Include tips in your budget. Although tipping isn’t mandatory in the Philippines, it has become the norm especially in the beauty industry. There’s no exact percentage to follow for this, so feel free to give however much you think the stylist deserves—if you’re happy and you know it, tip generously. Don’t forget to tip the junior stylist or assistant as well!